With the holiday season coming up, thousands of small businesses are prepping to sell more than they’ve sold all year. It’s the time when orders are piling up, your staff is working hard to get those shipments moving and everyone’s building up their holiday spirit. This is also a time when small businesses want to celebrate their accomplishments with customers and employees – bonuses, parties and gifts being shared with your top supporters. The problem: where does the money come from to support all of this? You’ve got a great balance in accounts receivable but that won’t hit your account until next year (GULP!). The line of credit or credit cards are fully extended as working capital was required to ramp up your production to meet orders. So what do you do? You prepare! A little bit of preparation allows you to make sure everything runs smoothly so here are 4 ways you can ensure that cash flow does turn you into the Grinch during this merry time. You’ve always wanted to land the deal with the big-box retailer, but now you have to deal with their super long payment terms. Instead of letting this waiting period strain your cash flow as you try to fund inventory purchases and pay your employees, find a short term funding solution that will allow you to access your cash immediately. This can be through your savings, credit cards, line of credit, or through solutions such as those offered by fintech firms like FundThrough, that enable small businesses to use their hard-earned cash today and not 30, 60 or 90 days from now. Using an option like this will give you the confidence and peace of mind you need to handle the cash flow hurdle that is coming up and allow you to ensure that your team, inventory and customers are all well taken care of. Where possible, delay payment. This could mean putting your relationship with your supplier and your negotiation skills to work to get extended payment terms. The later you pay them, the more cash you have on hand today to handle the demand during this fruitful season. Another opportunity to delay an expense is with holiday party itself. As long as you are celebrating your accomplishments with employees/clients and thanking them for all of their support, would it really make that much of a difference to schedule it in the new year? Put your data to work! After many-a-holiday-season, you know a lot about your business. That could mean knowing how much you’ll sell of a particular product next month or even when to run your next BOGO sale. So why not use this data to your favor by leveraging existing Business Intelligence technology to make better decisions fast? Tools such as Tableau clearly display pertinent information about your business that will help drive increased profitability and agile responsiveness and reduce risk. You and everyone around you knows that you’re willing to work countless hours to make sure your business runs smoothly on all fronts. But unfortunately, no one is capable of doing everything all on their own. For that reason, you need to ensure that everyone on your team is well-equipped and ready to take on this holiday season head-first. Perhaps you can hire a few part-time staff to help you offer great service to your customers and nurture any new potential business opportunities that arise. This will not only allow you to focus on what you do best, but will also make less room for errors and stress. You should also be taking into consideration the crucial but often overlooked back-end work that needs to get done to make sure that the business operations are running well. Tasks such as expense tracking and cash flow management are core to your business’s operations, so it may be time to hire a professional bookkeeper or accountant to help you keep on top of these. Ensuring that your cash flow is being managed attentively and responsively will rid you of many headaches that can ruin your holiday spirit. Please share any other tips and tricks for the holiday season below! 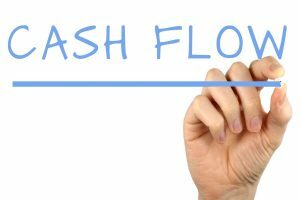 To learn more about FundThrough and how it can help you with your cash flow, feel free to reach out to Martina, their Customer Success Manager, at mmontero@fundthrough.com. She would be more than happy to chat! This is a guest post by Martina Montero.